Migration has been a soaring success for a Kielder bird of prey. 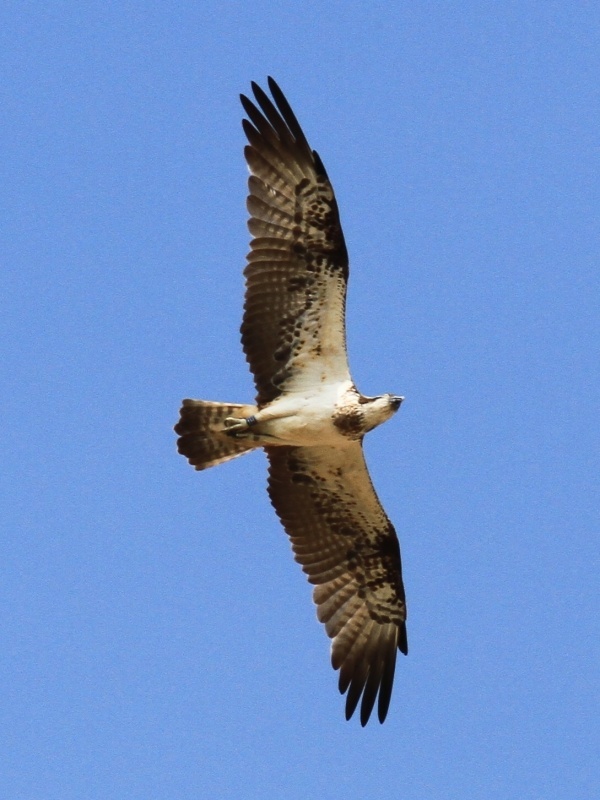 An osprey which fledged from a nest in Kielder Forest, Northumberland, in 2012 has been spotted flying in the clear blue skies of Senegal, West Africa. It’s the first time that a Kielder bird has ever been seen at a migration destination. Ornithologist, Frédéric Bacuez in Senegal, snapped a picture of the bird identified by its ring as Blue 1H, on Thursday November 14 2013. It was seen in the Todde area of Northern Senegal, described as a ‘hotspot’ for birds of prey. Ospreys recolonised naturally in the North East in 2009 following more than 200 years of absence. The first successful breeding pairs were at Kielder Water & Forest Park, rearing their young on the trout caught in Northumbrian Water’s Kielder reservoir, the largest man-made lake in northern Europe. Now the birds continue to return and successfully breed there every year, travelling over 5,000 miles to and from their wintering ground in sub-Saharan Africa. This year the Park had four chicks successfully fledge from England’s biggest working forest– a record number since 2009. Nature lovers enjoyed close up views of the action in the nest with CCTV cameras beaming footage to visitors at Kielder Castle and Northumbrian Water’s Leaplish Waterside Park. Forestry Commission Recreation and Public Affairs Manager, Alex MacLennan, said: “To get a sighting of one of the 2012 Kielder ospreys in Northern Senegal is truly amazing. This is such exciting news for everyone involved with protecting and promoting these stunning birds, from Northumberland Wildlife Trust to the Osprey Watch volunteers. The Forestry Commission is the government department responsible in England for protecting, expanding and promoting the sustainable management of woods and forests and increasing their value to society and the environment. Forestry makes a real contribution to sustainable development, providing social and environmental benefits arising from planting and managing attractive, as well as productive, woodlands. Further information can be found at www.forestry.gov.uk. Kielder Water & Forest Park, which spans 250 square miles, is home to the largest forest in England and the largest man-made lake in northern Europe. It was awarded the best Tourism Experience in England by Visit England 2013, and the most tranquil place in England by the Campaign to Protect Rural England. For more information visit Kielder Water & Forest Park website at www.visitkielder.com.